GLASTONBURY, CT – November 8, 2017 – CMIC Group, an A- (A.M. Best) rated company and leading member-owned medical professional liability insurance provider, announced recently that Dr. Edmund Schiavoni has been elected President of the CMIC Risk Retention Group Board of Directors. 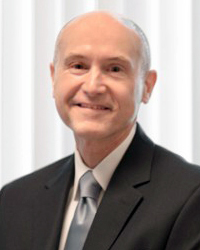 Dr. Schiavoni has practiced primary care internal medicine for over 25 years. He received his undergraduate degree from Dartmouth College, his medical degree from Georgetown University, and his postgraduate medical training at Georgetown University Medical Center. He is the President of Southern New Hampshire Internal Medicine Associates and has been in a variety of hospital leadership roles including Chief of Medicine, Chair of Credentials and Chair of the Board of Trustees. He has also served on the Executive Council of the New Hampshire Medical Society.